The £1.4bn contract to run the new Crossrail franchise through London from 2018 has been awarded to Hong Kong-based MTR Corporation, Transport for London (TfL) has announced. MTR was one of four companies short-listed to bid for the contract late last year. The other train companies bidding to run the franchise included National Express, Arriva and French transport firm Keolis, through the Go-Ahead Group. MTR is expected to employ 1,100 staff. The franchise will run for an initial eight years with an option to extend the franchise for another 10 years after that. London mayor, Boris Johnson, said the award of the franchise represented the "final pieces of the jigsaw puzzle" being put in place. "I am delighted that we can now announce the new operator of this landmark railway, bringing it one step closer to welcoming passengers aboard," he said. "Crossrail will revolutionise east-west transit in the capital, making London an even more attractive place to visit and invest." The rail franchise will employ around 400 drivers and there will be more than 50 apprenticeships for people from communities along the route. MTR already operates the London Overground franchise with Arriva UK Trains, as well as running the metro system in Hong Kong. The huge Crossrail project, costing around £15bn to build, is the first complete new underground line in London since the Victoria line was built more than 30 years ago. The line will see trains running from Reading in Berkshire to the west of the capital and as far east as Shenfield in Essex, as well as linking to south London. It is also one of the most ambitious transport construction projects undertaken in London since the original underground was built over 150 years ago. Crossrail is expected to reduce passenger overcrowding on underground trains in central London and to reduce cross-London journey times. 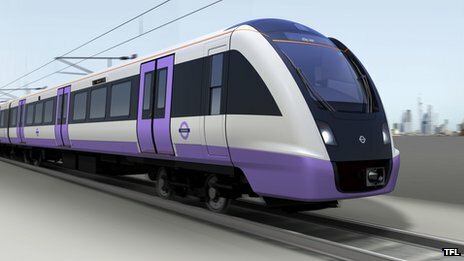 TfL said it expected Crossrail to support the equivalent of 55,000 full-time jobs around the UK. New trains will begin entering service in 2017. The route through Canary Wharf, the City and the West End will open in late 2018, with the full route running from late 2019. MTR will start running services from the end of May 2015 between Liverpool Street and Shenfield, when it takes over the existing stopping services currently operated by Abellio Greater Anglia. London Underground managing director Mike Brown said the award of the franchise was "a huge step towards the new railway coming to London."